Saving Greys, by GREY2K USA Worldwide: Will the Texas Racing Commission Stand Up for Crispin the Greyhound? Will the Texas Racing Commission Stand Up for Crispin the Greyhound? Yesterday, the Galveston County Daily News reported on the death of Crispins Place, a two-year-old brindle greyhound who died last February. Crispin was a champion racer. 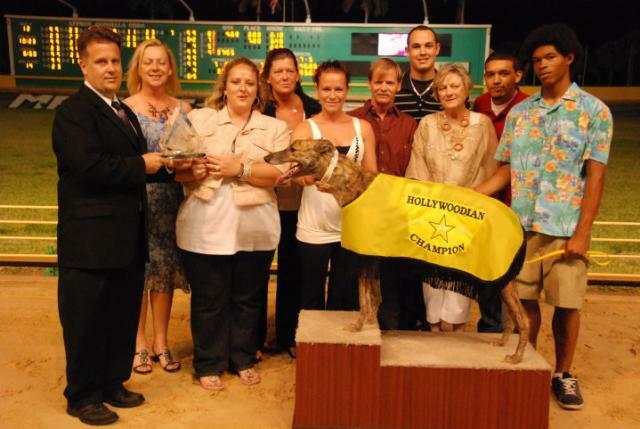 In 2010, he won the Hollywoodian stakes race in South Florida, and was nominated by the National Greyhound Association for the Flashy Sir Award as one of the fastest distance racers in the country. Sadly, Crispin's success did not protect him from being neglected when he needed help the most. "Mr. Edwards failed to seek medical treatment for the greyhound until 2/16/11 thus subjecting the greyhound to unnecessary suffering." As shocking as this neglect is, what happened next may be even more disturbing. Although the Texas Racing Commission officially ruled that Crispin had been the subject of "inhumane treatment," they only fined Edwards a paltry $500, without suspending his license for even a single day. This penalty is clearly insufficient, which is why we wrote to the Texas Racing Commission two weeks ago and asked them to reopen this case and consider handing down a stiffer penalty. 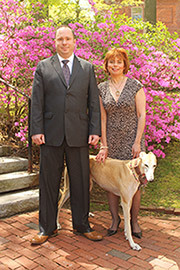 Strong regulatory agencies can greatly improve the lives of greyhounds. They are the first line of defense in preventing severe cases of cruelty and neglect, and greyhound advocates owe them a debt of gratitude. However, the system fails every time a regulatory agency shirks its responsibility, or loses sight of the fact that it must be an independent regulator of greyhound racing rather than a promoter. I am grateful to the Galveston County Daily News for their front page story reporting on this important issue, and also to GREY2K USA Research Director Catherine Vassighi for her work in bringing light to this case. Now it is up to the Texas Racing Commission to do the right thing. Its response to our letter will send a clear message about whether they take the welfare of greyhounds seriously, or not.